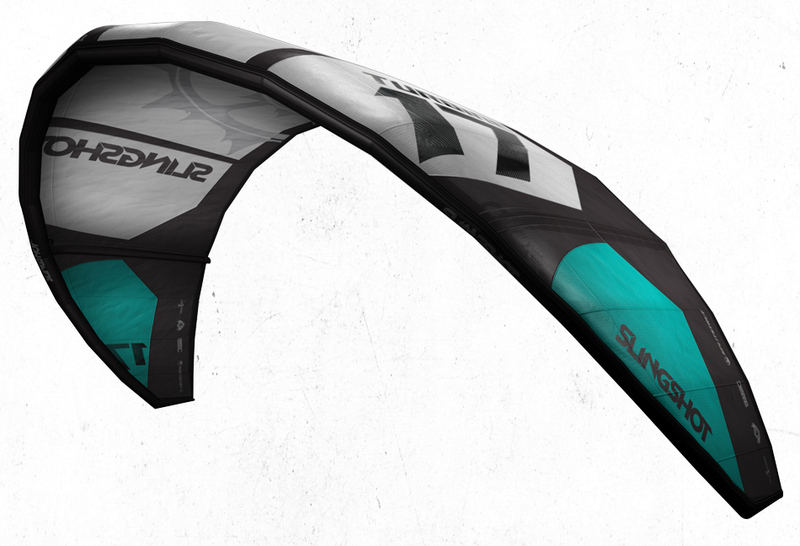 This year Slingshot has come up with the new Turbine kite which is much lighter in kind. 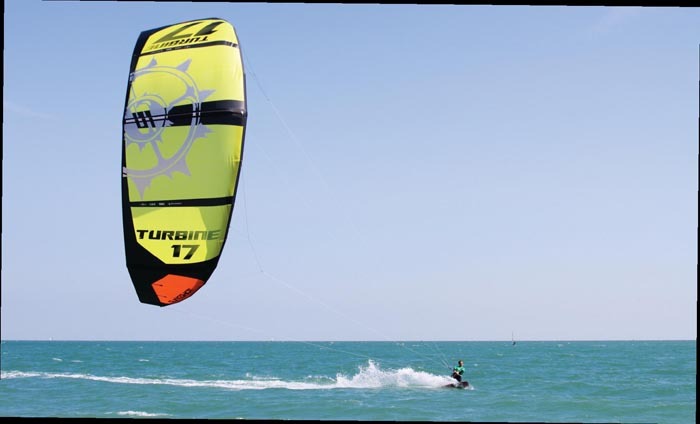 If you enjoy light wind surfing then this is one of the best kites that you can use to stay on the water and have fun. The minimum wind speedfor the Turbine is around 4 -5 knots which basically can get you up and riding when everyone else give up. The bladder material used on the turbine 2012 kite has been lighter by 25 % this time with reduced size on the struts and the smaller diameter used for the edges. The kite works fine in lighter winds due to the increased aspect ratio of the kite surface which is given a glider feel for the wind turbine shape of its. 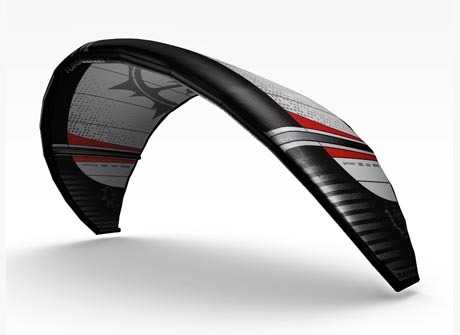 A new concept has also been introduced in the kite wings this time which is called Free-twist tip. On the technology part which Slingshot has worked on this kite so much to add a list of new features which helped to make this surfing kite a lighter and faster one. We would like to review each one by one. On the wingtips and the edge panels the steering line is attached which has given the extra narrow wind rage for the kites and also the panel to twist when required. This actually helped the kite to acquire wider wind range and a quicker mechanism to turn around. The kite design is given a more delta-C shaped one to acquire higher speed and move it in the forward window directions. The struts situated on the bars have also been integrated to a 3 strut design called the integration of split strut, which has given a more rigid and stable structure to the bars for control. Since the material is light, it helps in the water re-launching of the kite n-number of times due to its flexibility. The wing tip struts are redesigned to give a conical tapering shape for efficient control of the kite. To increase the efficiency of the kite the trailing edges has been made flexible to both the opening and closing. The steering of the kite has also been given a boost with improved power steering plan. Here the power is delivered at the wingtip so that the steering of the kite is smooth and this in turn reduces the pressure of the bar to give top performance while surfing. The kite uses the single point inflation procedure which is totally a patented product of the Slingshot Company itself. The makers also took care of the affected areas of the kite and they have put scuff guards on those places to make the kite quite durable. Included stuff like Neoprene, Mark Cloth and ballistic Kevlar on those places. Any users who have faced any issues or have queries can directly contact the personnel from Slingshot as the customer care people are very friendly and assist the users in the best possible ways. The design part of the kite has been totally upgraded so much to give a better look, lighter to use and higher is performance and efficiency. This has basically helped to make the Turbine 2012 kite to be lighter and faster and user friendly. I am sure this will be a surely loved by Kite surfers all round the world.